Most of us tend to have inboxes that are bursting at the seams. I know someone at work who has 500 unread emails just sitting in his inbox. It can be hard to keep everything in your inbox under control sometimes. If you work to get things under control it's much easier to keep it organized and tidy. This is a goal I've been working hard to accomplish since starting my new 101 List. Here are five tips to keep your inbox under control. The first thing I do every morning when I log into my email is go through and delete the messages that I don’t need. I'm sure most of us have the emails we get from the newsletter lists we're on or the news emails we subscribe to. If you don't need it for the sale, a coupon or you're going to read the articles today just delete! You might think you'll get back to them but there is a really good chance it won't happen. Inbox zero is a great deleting goal! Folders are my favorite thing to organize my emails. Sometimes you just can't delete that email, like your registration for an event or the first emails your boyfriend sent you. Folders will help you sort and keep track of those important and need to keep emails. Make sure you're using folders that are appropriate and make sense for what you're trying to keep track of. I liken this to the touch it once theory. That theory stats instead of looking at something and not doing anything about it take care of it right away. This can be applied to your email box too. Read it once and deal with it right away. I think sometimes we feel like we shouldn't reply to emails right away but this just allows us to forget about them and not reply at all. Not gonna lie I'm definitely guilty of this one at times. It's something I've been working on. It can also apply to the deleting and sorting of emails into folders. Sometimes you're responding and sending out emails that are almost the same response to a bunch of different people. For example when I'm sending out emails to chat with people about hosting a Pampered Chef show. I'm sending almost the same email to different people so why would I waste time and rewrite each email from scratch? That's just silly. Now be sure that I am customizing each email to the person I'm writing it to but the information about the host specials and other general information is the same in each email. It's ok to copy and paste that information for each. Maybe you have a lot of companies contacting you about sponsored posts, it's totally ok to have a canned response to start off the conversation with. You can have a nice reply email with your media kit and rate all ready to go. Trust me if you can automate some of your emails it will save you a ton of time. Unsubscribing is probably the one foolproof way to keep your inbox under control. If you aren't getting emails about it there won't be any clutter. I follow the rule for my promotional emails if it ends up not being a place I've eaten at or shopped at in forever and I'm just deleting the emails all the time then it's probably something I should just unsubscribe from. There are some great tools like Unroll.Me to help make it so much easier. Every now and then I like to just go through Unroll.Me and see what I can unsubscribe to, it's a very cleansing feeling. 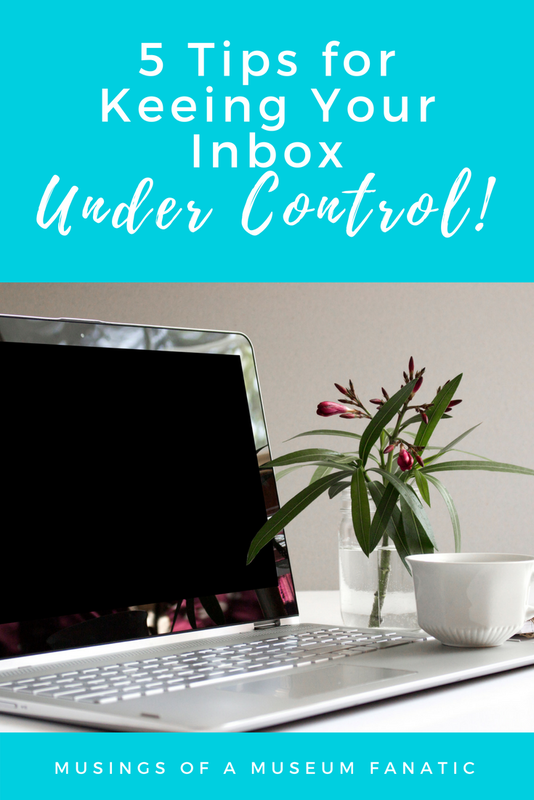 What tricks do you use to keep you inbox under control? ?